I have always had relaxed hair since I was a tween and became too much for my Mom to do hair for the growing number of girls in our large family! 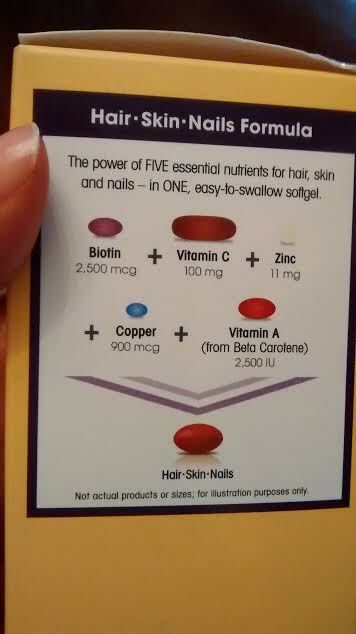 Now that I am in my "late 30s" and living with a chronic health issues nutrition is important including for my hair and nails (biggest indicators if your body is absorbing and processing nutrients). 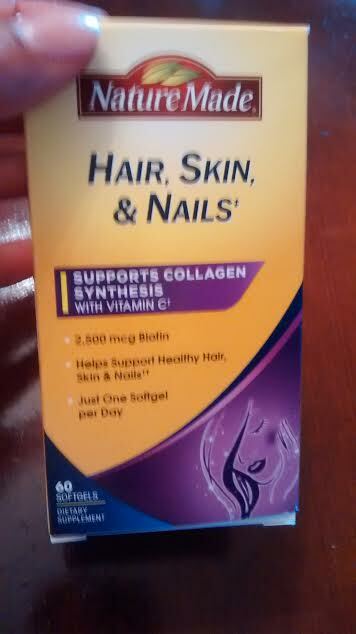 I suffer from "shedding" and dry hair issues so I am willing to give these hair,skin and nail supplements a try!! 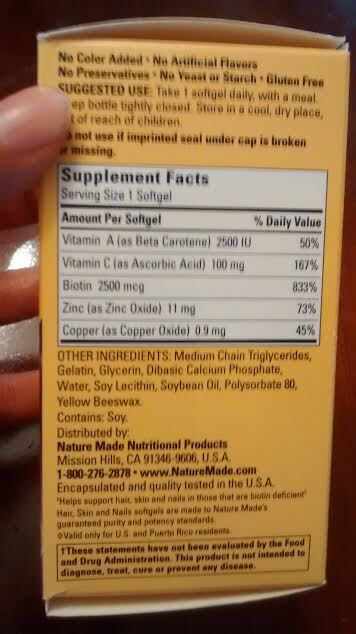 This supplement contains Biotin, Vitamin A and C, Zinc, and Copper which works together for growth and health in my body! 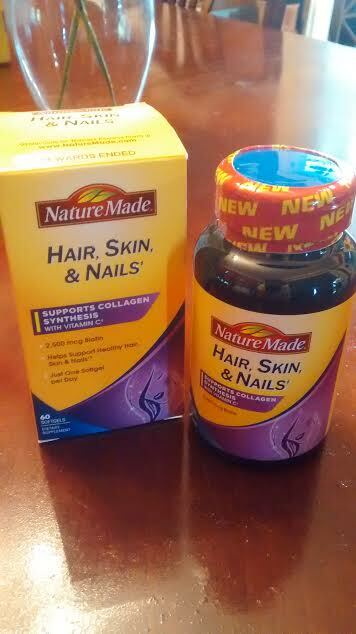 I found these Nature Made Hair vitamins for a steal and will start using now til the end of June to see about my healthy hair results in maintaining growth, less shedding, and other factors!! These supplements sound promising. Hope they work for you Ursula! Thank you, Rowena! Currently my hair length is past the shoulder blades but I want to grow it has far as I can manage it!! Thank you, Nadush!! I can't wait to see the results at the end of the month and July ( I have 60 gels)!! Thank you, Hanna! I can't wait to see the results in my hair!! Cant wait for the update! 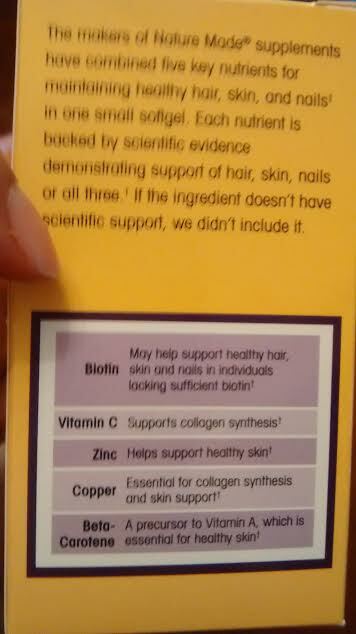 Hair nutrition is always good! Thank you, Maria! I have been shedding too much although I have long hair but that means I not getting the right nutrition for building healthy hair! Thanks, Elaine! I hope to see results by the end of this month! Thanks, Kay! I know this is great brand for my multivitamins (one time I used the men's after talk to pharm and they still worked for me for less than women's), fish oil and their iron pills esp I get the positive results at UVA Medical! So here goes nothing!